It is so funny how Netflix has a pulse on my life. Each month we are given a prompt, a gentle nudge by Netflix. So this month, it was about being in an unconventional family. 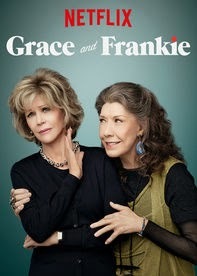 To tie in with the new show Grace and Frankie. Our little family has been very modern, unconventional, quirky, whatever you want to call it. It has been that way for almost nine years now. Well, nine years Wednesday, if we are being exact. 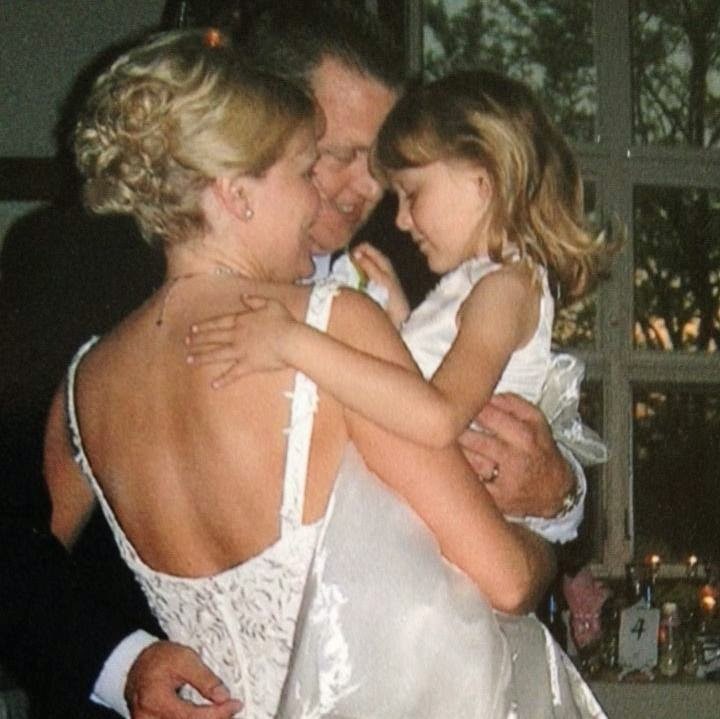 Nine years ago, Wednesday, my then six-year-old daughter and I married my then-fiancé in a barn….down by the river. But yes, we did get married in a barn. I say “we” got married because when you marry a woman with a child, you get the whole package, the whole enchilada, the happy meal WITH the toy. She came with the package, so when we were planning the wedding, I told him that I wanted her to have a part in the vows. It was incredibly romantic, tears were flowing, it was a day that everyone in that barn will never forget, I am sure. Because on that day, he married not only a 36-year-old woman but also her six-year-old daughter…OMG, THAT SOUNDED SO WRONG. What I am trying to say is that we vowed to be a family that day. For better or worse, richer or poorer. Not many traditional families get to do that. Then came Ellie, a year and a half later. 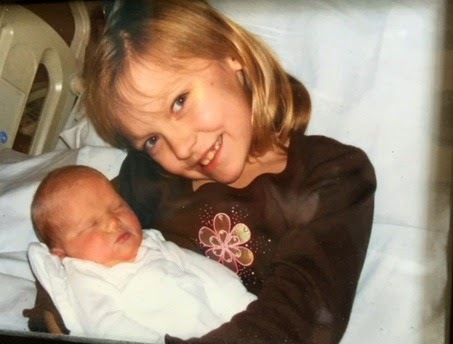 For the first year of Ella’s life, Anna’s biological dad would call Ella, to Anna’s face, her half-sister. Anna would correct him and say, “she is my full sister”, to which he would always correct her. Eventually, he stopped doing it and it did bother me that he was undermining her, even though he was officially correct. But the take away was that in Anna’s mind, Ella was and always will be her full sister. In a society obsessed with titles and tags, it doesn’t matter what they will call her. 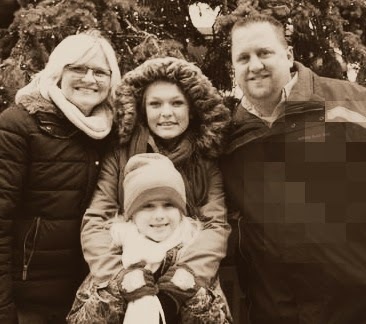 We have been a blended family for nine years now and while it has not been easy at times and society sometimes roots for us to fail, it has been an amazing ride. I have loved watching the relationship between my husband and Anna blossom and grow. It has had its moments, especially in the tween and teen years but it is now growing stronger and it makes me so proud. 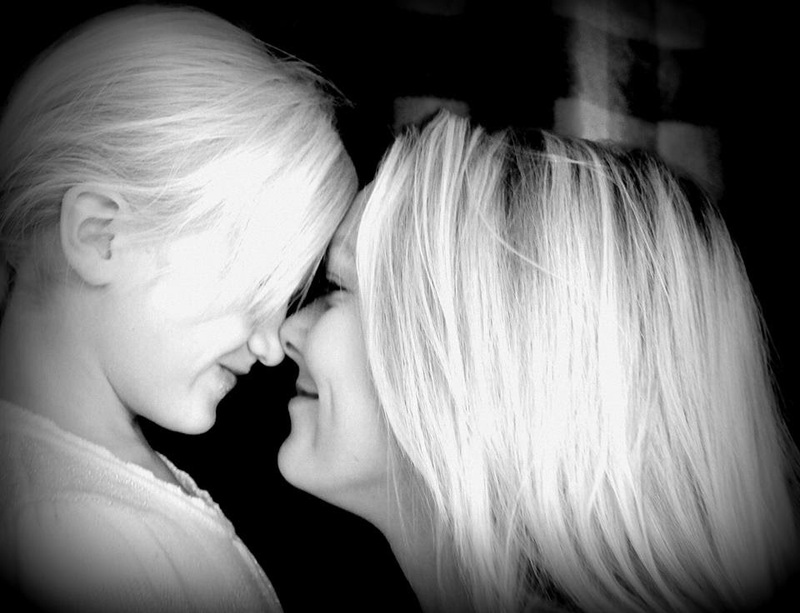 I look at my two girls and I can’t imagine our life without them. I am damn proud of this crazy, modern, quirky, unconventional family that we have created, largely on our own. I don’t want a perfect life, I don’t want a life where everything is cookie cutter and we all have the same last name. I like being able to explain our story to people who we have just met. I love that we have a past, I think it makes us mysterious. We have this amazing twisty, turny, storyline that not many other people in our lives have. When we look into each other’s eyes we can knowingly see where we began and we get that twinkle. It’s like being in on a secret that no one else knows or having a secret handshake. It is glorious, not at all scandalous. 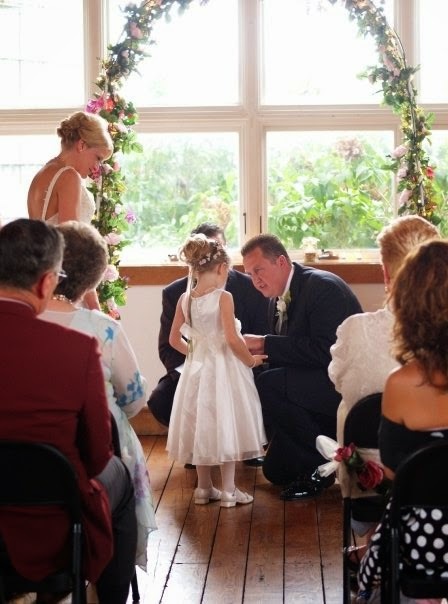 I mean how many other people can show their little sister the video from the day they married their parents?